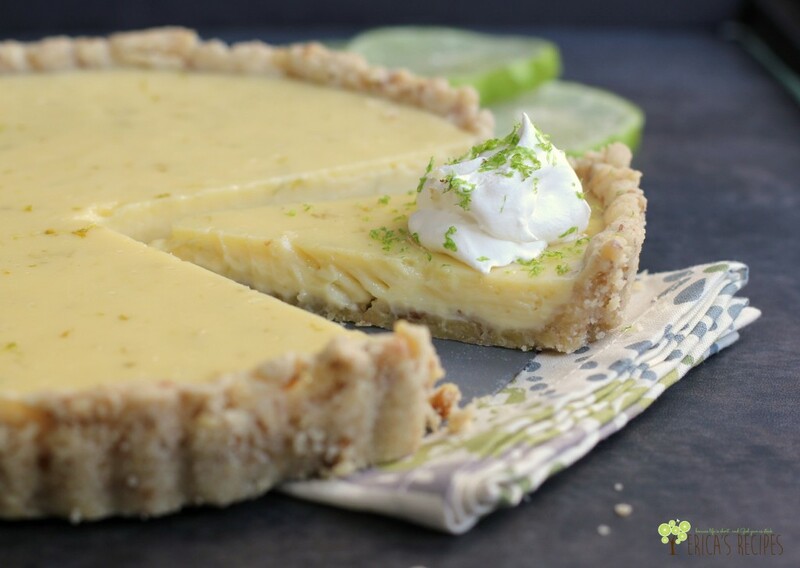 A refreshing, tart lime filling, in the easiest crust ever. 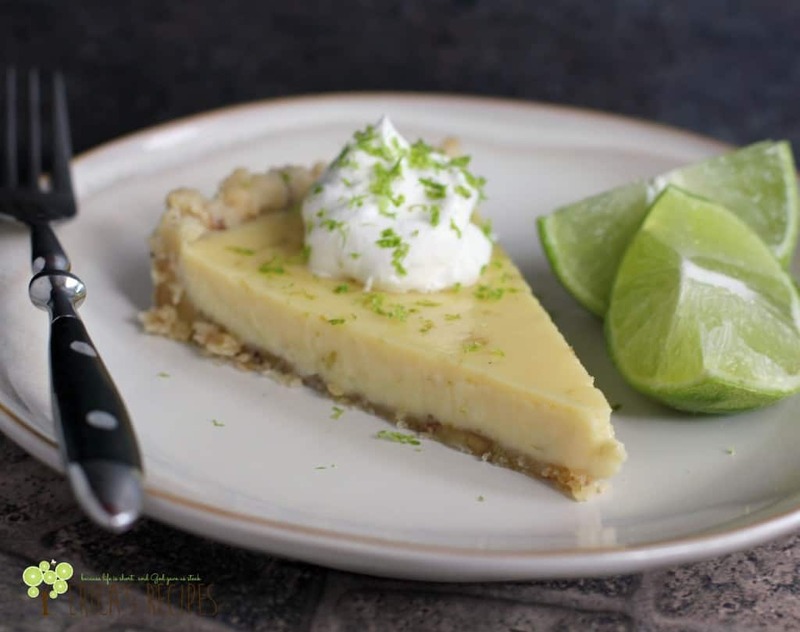 This Walnut Lime Tart spin on key lime pie is easier to make, and, with its nutty crust, even more delicious. It is just a random cold, but enough to keep me home for two days with plenty of yuckiness. ….And what does one do when home sick other than take advantage of daylight for food photography? Hence, this tart. I had the idea for a tart like this is because, let’s face it …making pie crust is work. I have a great recipe here, and I make pie crust regularly – usually with savory intentions. But I often have to have that inner argument to talk myself into it. So, I wanted to make a lime dessert reminiscent of pie, but I wanted it to be E-A-S-Y. Oh, and by the way – when I shot the photo of the limes above, I looked up and our newest family member, Spiderman, was peacefully looking on. 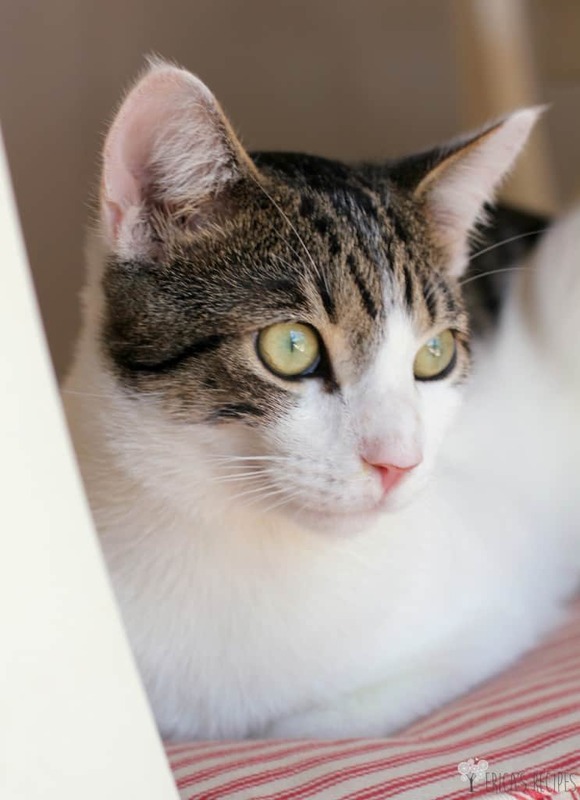 Spidey was abandoned in a local park, and we adopted him through a rescue organization a couple weeks ago. He is the sweetest cat I have ever met and just a perfect addition to our family. The sweetness in this photo almost makes up for the lizard “gift” I just had to clean up from him. So… this tart! You want to make this tart! I am SO happy with this recipe! It’s delicious, it’s easy, and it’s much more foolproof than using pie crust and hoping the dough cooks all the way through. 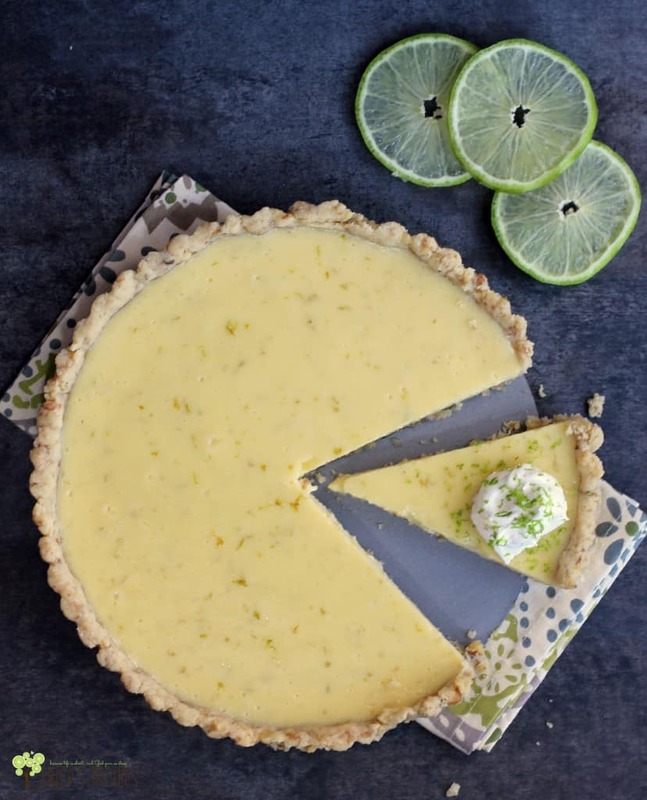 I love how the lime and sweetness are perfectly balanced – this dessert is not cloyingly sweet. Love, love, love this recipe …and I hope you do too. In a bowl, combine the ingredients for the crust. Press into a tart pan or pie plate. 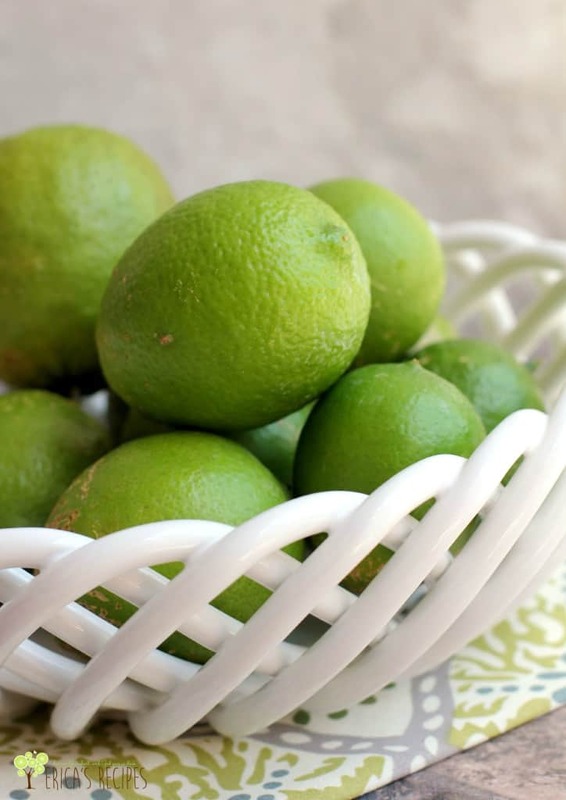 In another bowl, whisk together the ingredients for the lime filling. Pour over the walnut crust. Bake at 350F for approximately 20 minutes until filling is just set. Cool completely and serve with whipped cream, if desired. beautiful! I’d love to have some right now. So light and refreshing looking. Thanks for sharing your recipe, Erica! I love the fragrance of lemon in tarts! Looks exquisite! And I must not forget the beautiful spiderman! Such a beautiful pic! I ‘m a huge fan of Key Lime Pies and I love your walnut twist 🙂 I keep your recipe in mind for my guests this week! This looks amazing! Drooling over the pictures here. Thanks for the recipe! This looks so yummy! I can’t wait to try your recipe. First time here & I hope to drop by again. I’ve never tasted a walnut crust sounds delicious… price of limes is crazy. I heard a big report about margaritas not being served in places in Mexico because of the shortage… can you image? Thanks for bringing this to foodie friday. Just wanted you to know that your recipe is being featured on foodie friday today.